I need some schooling on these console shifter pivot brackets. I need to know which body classes these came off of, or which transmissions. Exhibit "B" I believe is off a "B" body. Yes ? No ? Whats the scoop. Let me know as this knowledge may benefit a few ! Here's my input RPM and my 2cents. 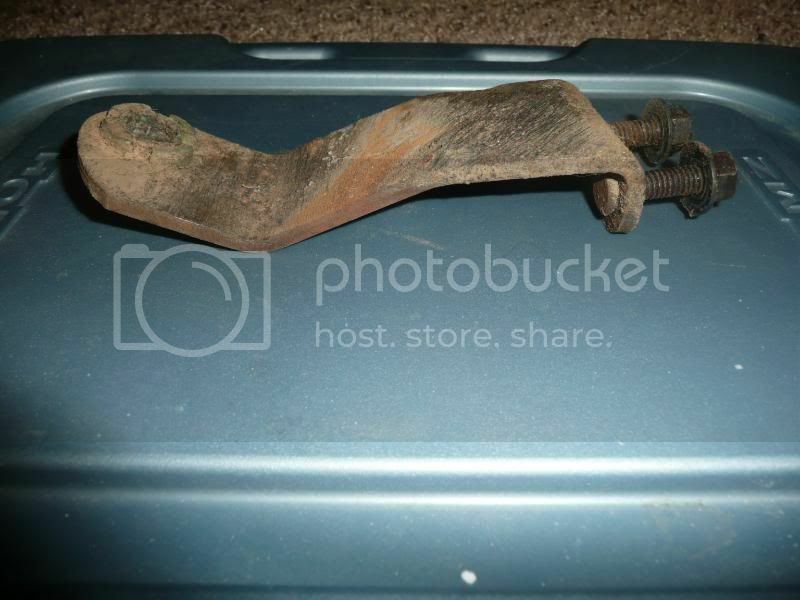 Exhibit B is an E-Body bracket. B's may be the same??? I was sure the Exhibit " A" was correct. I wasnt sure about the Exhibit "B"
Thanks for the input on that 6pk. Are we pretty positive that "B" is for a "E" body ? I might need to post that for a pic confirmation over on the E-body site. 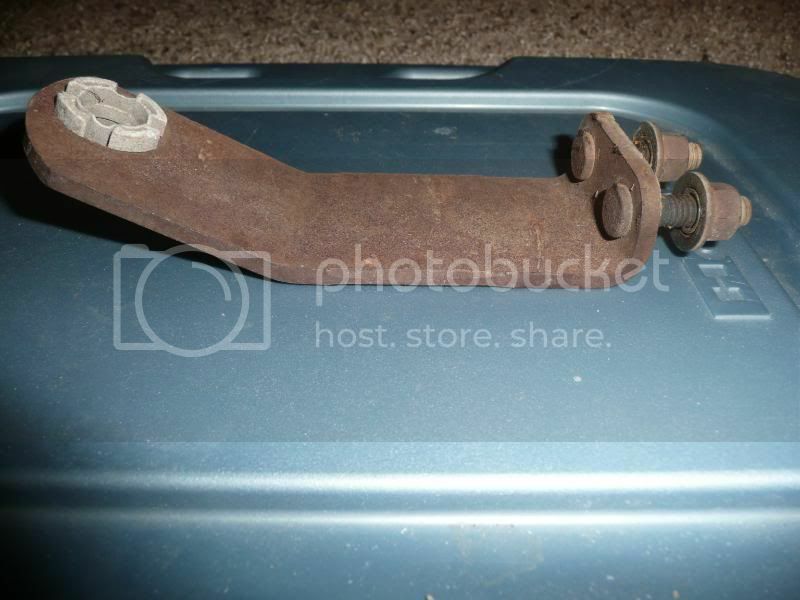 I believe these brackets are being reproduced in the aftermarket now, but I have never looked for them myself. You may try going that route also for confirmation. Thanks Cosig as well ! It has to do with which transmission not body style. Exhibit A is for a 727....B is for a 904. You got me thinking a bit more too so I did more investigating and.....I think it might be more of a year thing. 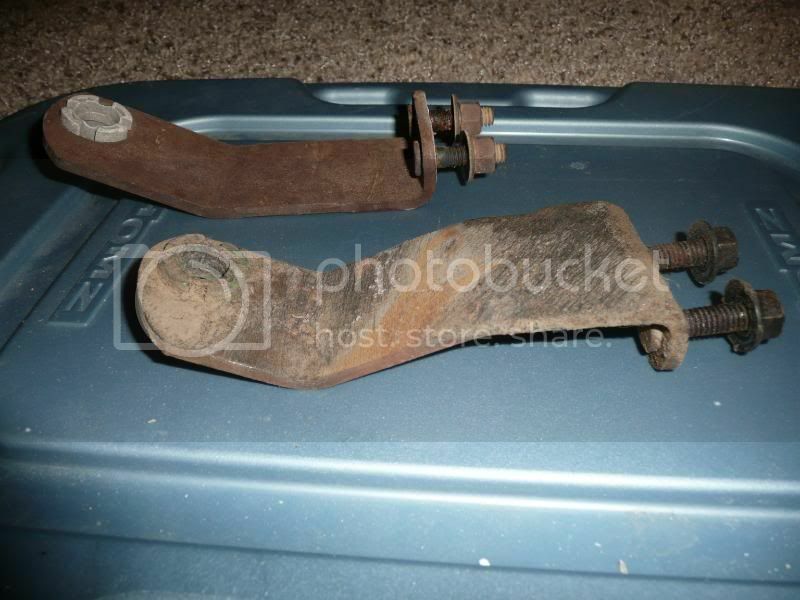 I have a '66 A-body w/904 and a '66 B-body w/727 and they have the same "A" bracket but the '72 B-body w/727 has the "B" bracket. The only real difference it the "B" bracket swings down a bit lower than the "A" bracket. I'm not sure when they changed over but there are two versions of the "A" bracket. The early one has a rubber grommet with a metal clip and the later has only a plastic bushing. I'll check a couple more sources and add more info as I get it. Great info CM ... please let us know what you come up with. I checked my parts books and see the same part number for the "A" bracket (2660401) from '66 through '70 all models, and '71 A-bodies only, regardless of transmission. They then show the "B" bracket (3467717) starting in '71 on B,C,& E bodies on all transmissions. I don't have the '72-6 passenger car parts books so I'm not sure how long they continued, but, by 1977, both numbers are no longer listed as current. Here's some add'l info from the Mopar books. Feel free to correct this if you find different info. Here's a pic of the 3467717 taking the same view as cosgig's pic to help eliminate confusion of the differences in these brackets. ok this is good stuff.... I think we are getting closer to getting it all sorted. It might be the camera angle but this doesn't look quite right to me. Wouldn't the bends and the off centered hole position be meant to align the bushing with the shaft ? I think it's the camera angle thats confusing. Here's a better pic. OK, I'm reviving this thread with some "new" evidence contrary to the considered opinion in this thread. Here's a pic from a '67 Dart GT 273 car thats for sale right now on EBay (Jan 14/12). My A-Body 904's don't have those ears on the tailshaft housing to mount one of those brackets to. What gives? Are you sure they're from A body's? Truck/van etc. ones use different tailshafts w/o that boss as their original applications never used floor shifters. Truck/van trans didnt use floor shifts, so, no bosses on their tailshafts. Kim...see post 18...thats an original '67 273 Dart GT floor shift car. Everyone says its the other style for that application, as below.. I used to think that there was a difference between the 904 and 727 but it appears I've been wrong on this for most of my life. My recent research shows that it may be that one bracket is used for all "ball type" shifters (66-76 A body, 66-70 B body and 70 E body) and one bracket for the "T" handle shifters (71-74 E body and 71-74 B body). I'm still not certain enough about this to claim it as indisputable fact.